First there was Blacktron in 1987, then there was Blacktron II in 1991. 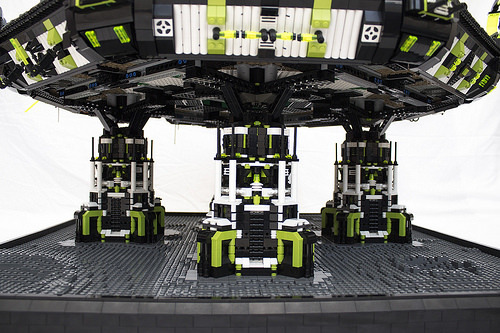 Now Luc Byard may have created Blacktron 3.0 with this awesome updated Blacktron landing pad. 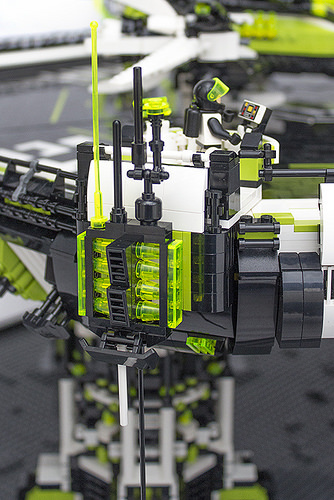 His ship “Aerial Intruder” sits on the octagonal landing gantry with alien hieroglyphs. 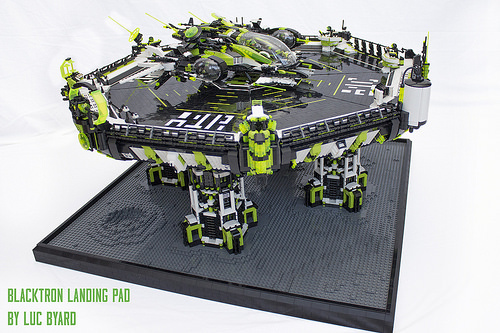 Sitting atop four carefully constructed legs on a tidy base with realistic moon surface pocked with brick-built craters. The whole construction took over a year to complete (6 months for the ship and 7 months for the pad). When you see the level of complexity and details that have gone into this incredible creation you can understand why. Here Blacktron astronauts are busy looking over pre-flight checks at various computer terminals around the “Aerial Intruder” while another climbs into the deployment buggy. 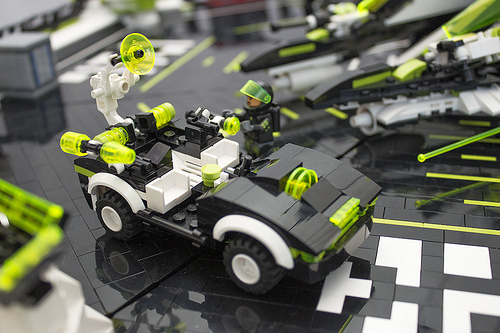 Luc pays homage using traditional Blacktron colors while adding on his flare and style to create this masterpiece.